In spite of the fact that there are significant human remains after cremation, when asked about the fact that there are no enormous human remains in alleged mass graves for the alleged '6M Jews & 5M others, / 11,000,000, the impossible narrative tries to explain it away by saying that there aren't any mass graves left because the corpses were exhumed, cremated, and therefore disappeared. - According to the 'Holocaust by Bullets' spin there ARE endless mass graves claimed to be in allegedly known places, but cannot be shown. - Sobibor ‘monument’ supposedly over the remains of 250,000 Jew, actual remains of the alleged 250,000 cannot be shown to exist. - Alleged “ash pond” for an alleged 1.1M Jew remains at Auschwitz, however these alleged remains cannot be shown to exist. - Alleged location of Treblinka mass graves / remains of 900,000 Jews according to Treblinka officials, no alleged remains exist. 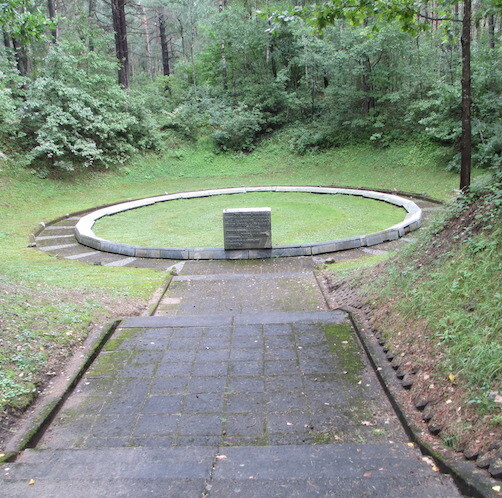 - Alleged Mass grave at Ponar, Lithuania for 100,000, no alleged remains exit. No enormous human remains as alleged, no 'holocaust'. This Israeli Jew says he saw the mass graves. He was a devote communist serving in the Red Army. 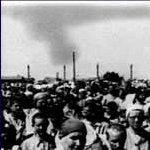 Between 1943 and 1945, as Jews in the Red Army advanced, they came across the mass graves and learned about the killing. “They saw proof of the Holocaust,” Zeltser said. Hannover wrote: In spite of the fact that there are significant human remains after cremation, when asked about the fact that there are no enormous human remains in alleged mass graves for the alleged '6M Jews & 5M others, / 11,000,000, the impossible narrative tries to explain it away by saying that there aren't any mass graves left because the corpses were exhumed, cremated, and therefore disappeared. How one can reach that conclusion is unbelievable. After a 3 day encounter with this guy, he has signed out refusing to look at anything, dismissing everything- some master historian. Finishes by declaring he worked at the USHMM and is a personal associate of Lipstadt -Deliberate hoaxer. cold beer wrote: This Israeli Jew says he saw the mass graves. Yep, another tall tale, a fake photo, with no excavated remains. Imagine taking that crap into a real court of law. At the mass grave sites that I posted and the claims within the 'Holocaust by Bullets' narrative, it is not claimed that the remains were "strewn in the surroundings". The claim is that the remains are still there, as absurd as those claims are. Hence my point in emphasizing the CONTRADICTION. IOW, they have fucked themselves. Pardon my French. Hannover I have thought the same. If you cremated millions of people I'm pretty sure there will still be a good amount of remains. Like maybe bones that's why they made up the whole bone crushing story. It just ads on another process of the killing making the entire story sounding even more impossible. 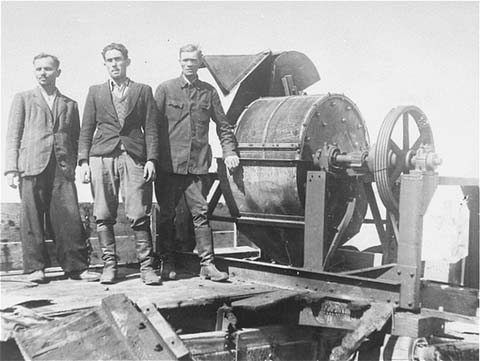 Not only would you have people controlling the gas chambers and the cremation they would also need people and machines to crush some of the bones that might be leftover. The man power that would be needed to pull this whole thing off is just so out of this world. Another thing i always thought is the Germans supposedly done all this outlandish stuff to cover up this genocide. Yet it was still found out after the war. With all these Jews and communists as witnesses which we are all told the Germans tried to kill all the witnesses fast as they could. But all these wittiness are still alive. And of the documents they spin around to make it seems like the Germans are referring to killing Jews. That goes against the narrative right there to. Because the official story is that the Germans destroyed all the documents referring to the Holocaust. Each part of the Holocaust story goes against another part. Not only bones. I mean, for open air cremation, we must add a lot of wood remains. The pile in the center, consisting of red pine logs about 2 meters long with an average diameter of about 12 centimeters, was about 30 meters long and had an average height of approximately 2.5 meters. Its estimated weight is about 100 tons sufficient for the cremation of about 330 corpses. The cremation of the alleged 169,000 corpses would have required about 500 piles like this, or a stack of the same height but a length of 15 kilometers ! Even worse, 1005 aktion cremations in many cases would have been made in Ukrainian farmer areas where trees were far away from these regions.